The Toyota Prius C is a five-seat, five-door compact hatchback sold exclusively with a hybrid powertrain, as a part of Toyota's Prius family of hybrids. 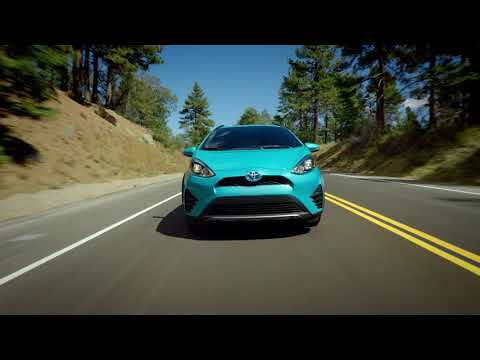 The most affordable and smallest Prius offering, the Prius C's 47-mpg combined fuel economy rating puts it among the most efficient of all new vehicles without a plug. Following changes to the calculations for 2017, it is now rated at 46 mpg combined on the EPA cycle, below the 52 mpg achieved by the new Prius Liftback, but better than the larger wagon-bodied Prius V.
The Prius C has only one hybrid competitor: the new Hyundai Ioniq Hybrid, which is nicer inside and outdoes it on fuel economy as well, at 54 mpg combined. Among gas-powered cars, the Prius C competes with the most fuel-efficient versions of mainstream subcompacts such as the Ford Fiesta, Chevrolet Sonic, Toyota Yaris, Nissan Versa, and Hyundai Accent. While the lines of the Prius C are far less distinctive than those of the traditional Prius—to us, it looks like a mass-market model and very similar in shape to Toyota's non-hybrid Yaris—it's actually a unique, hybrid-only body style. The rather ordinary five-door hatchback layout offers as much space up front as the standard Prius, though less space in back, thanks to more upright seats and the shorter wheelbase. Cargo space with the rear seats in place is enough for a load of groceries, while the seatbacks can fold forward to expand the available room for stuff—it makes an excellent car for two people, with tolerable space for three or four in a pinch. Toyota managed to locate both the gas tank and the battery pack under the rear seat, meaning that unlike the Insight, the Prius C has a full-depth load deck. From the driver's seat, the instrument-panel layout borrows some minor controls from the Yaris, but shares the central gauges and readouts of the rest of the Prius lineup. There's a fair amount of interior noise, and the trims and materials are clearly a step down in quality compared to the Prius, but that's to be expected given the bargain price. Because the C is smaller than its Prius kin, it can make do with a similarly downsized powertrain. The 1.5-liter 4-cylinder makes just 73 horsepower. It's paired to a small electric motor in the same arrangement as the other Prius models, and uses a 0.9-kwh battery pack. The layout and function of the system are the same as in Toyota's other hybrids, although the Prius C uses a more traditional gear selector in place of the blue nub found in its brethren. 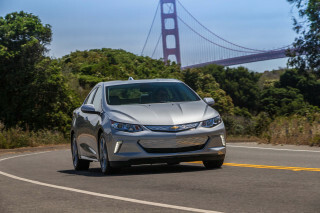 While it ends up at the 50-mpg EPA combined mileage rating that's close to the larger Prius liftback, the details follow a different path. We've seen a bit lower in real-world drives, but found that it's considerably more nimble and maneuverable than any other Prius—although hardly sporty. We've found the best way to keep up with traffic is to work the little Prius hard, which didn't seem to negatively affect gas mileage very much. 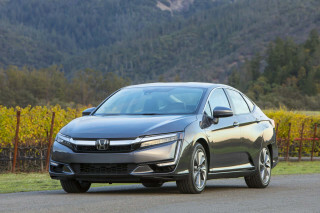 For less than $20,000, you'll make some trade-offs to get the sophisticated hybrid powertrain. 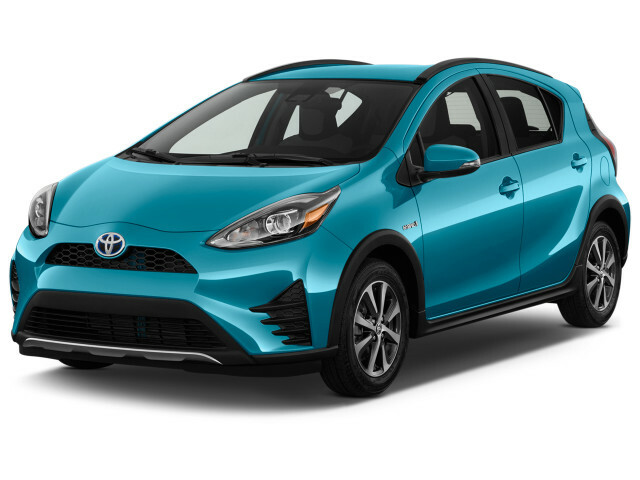 Just four trim levels are offered (Prius C One, Prius C Two, Prius C Three, and Prius C Four), though even the least pricey Prius One model includes automatic climate control, power accessories, keyless entry, and USB/iPod connectivity. A navigation system and Toyota's infotainment system come in the Prius C Three, while Prius C Four models get heated seats, alloy wheels, and fog lamps. The Prius C doesn't fare as well as some other models in safety testing. 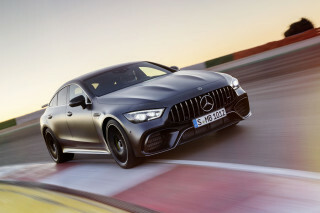 It receives four out of five stars in the NHTSA's evaluation, with some warnings that aren't taken into account in the ratings. In the IIHS's testing, it receives top "Good" scores in all but the new small front overlap test where it scored an "Acceptable" rating. 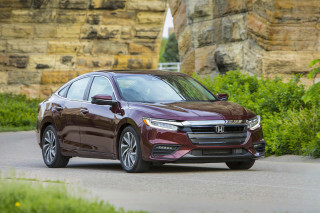 Styling was refreshed front and rear in 2015, with a new, more aggressive look echoing that of Toyota's other redesigned offerings. Equipment was shuffled somewhat, and a new set of bold colors was added in addition to the tamer options.For 2016, Toyota's suite of active safety systems was added to some models, and a Prius C Persona Series limited-edition model was added, but Toyota left the chart-topping fuel economy unchanged. Toyota expanded the active safety suite to all models in 2017 and revised the front and rear bumpers, as well as the side rocker panels, for a new look to the Prius C. In 2018, its seventh year in production, it received some minor styling tweaks and a rearview camera as standard in every model. mine is a 2012 have 52000 miles on it drive it in central Pa.